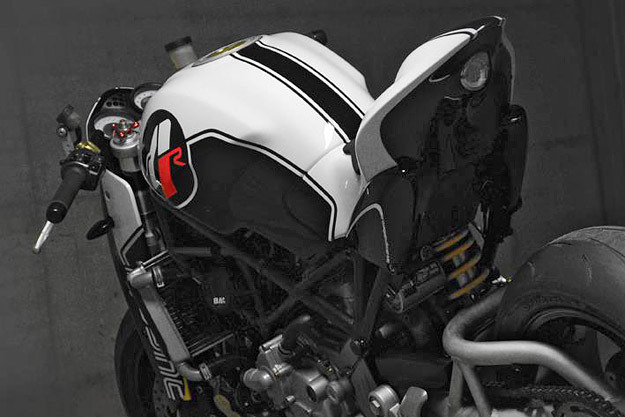 Italian automotive designer Paolo Tesio has reworked Ducati’s iconic Monster into an even more desirable machine, transforming its looks with remarkably few modifications. 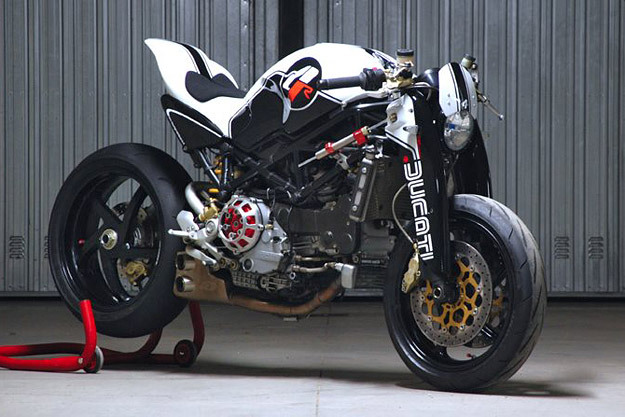 This custom is based on a Ducati S4R, which was sold between 2003 and 2008 in most markets. It was the top of the range Monster at the time, with a 996 cc motor pushing out a healthy 115 hp. The dry weight is just 181 kg (399 pounds), so there’s no shortage of performance. After extensive CAD modeling, Tesio cut back the rear subframe, designed a new seat unit, and created girder-style fork guards to slip over the 43 mm adjustable Showa front suspension. 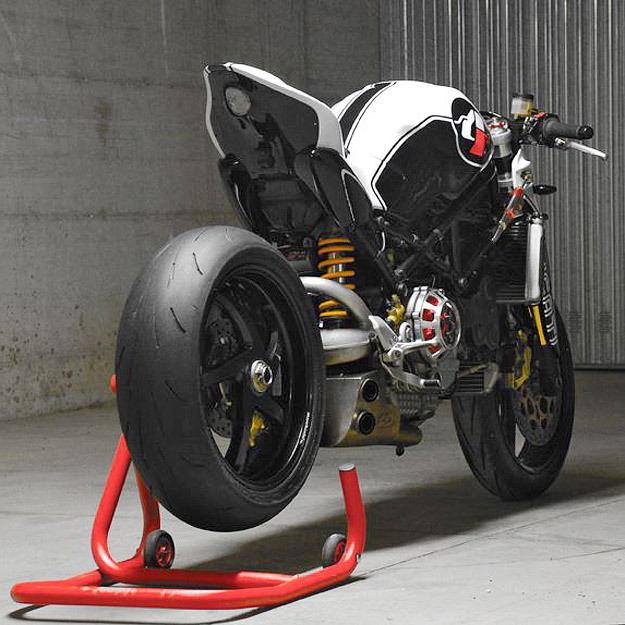 To enhance the nose-down stance, Tesio has fitted a Ducati MH900 headlight and a smaller instrument cluster. The exhaust piping now runs under the engine, accentuating the squared-off looks. 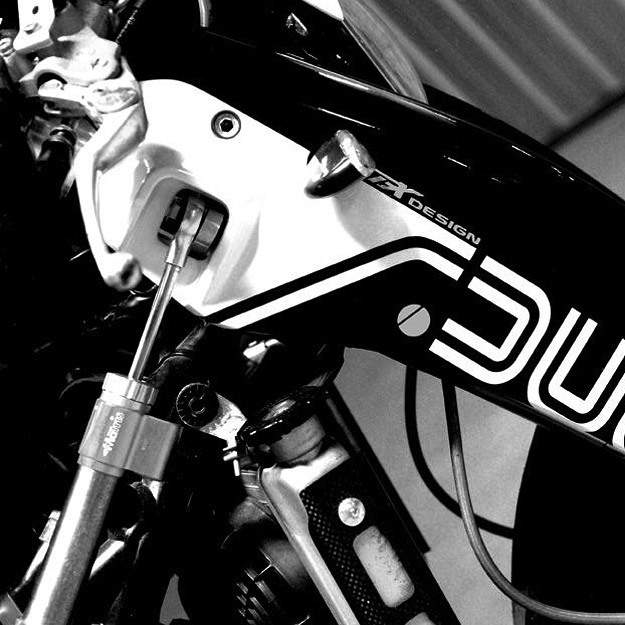 The finishing touch is the paint, with a simple but effective monochrome color scheme and old-school Ducati badging. 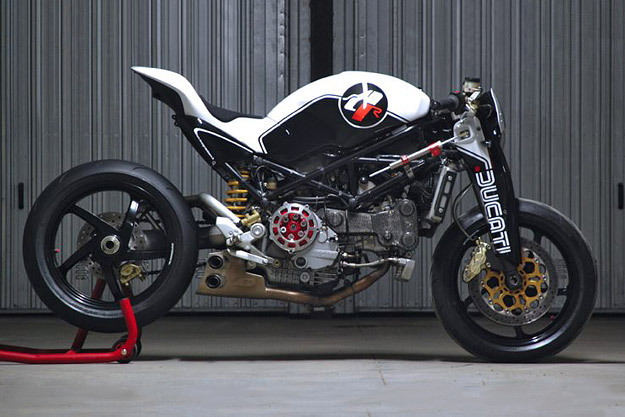 It’s hardly subtle, but it’s hugely effective—an intoxicating mix of contemporary Ducati performance and post-modern aesthetics.